You are very welcome to contact the case study leader for more information on the Elbe River case study. 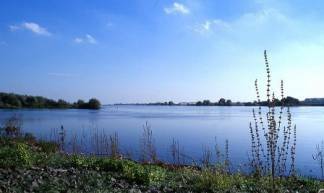 The Elbe River with a length of 1,091 km drains a basin with an area of 148,268 km² to the North Sea. About 2/3 of the drainage basin area is located in Germany, 1/3 in the Czech Republic, and a negligible part in Austria and Poland. About 25 million people live in the basin, thereof about 7.5 million in the five largest cities Berlin, Hamburg, Prague, Dresden and Leipzig. 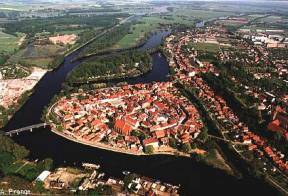 The Elbe River in its middle- and downstream parts is a comparatively low human influenced stream with natural river banks and flood plain forests and without any locks and weirs in a length of more than 600 km. 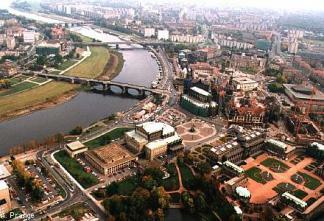 The Czech part of the river has 19 weirs to assure inland navigation and irrigation. Since 1990 water quality is improving, though nutrient pollution is still quite significant. Many endangered species (beavers, black and white storks, cranes) survived here and their populations start to increase slowly. 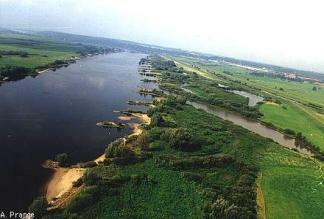 The Elbe basin includes the largest floodplain forest area in Central Europe “Flusslandschaft Elbe”, which is protected as a UNESCO biosphere reserve since 1979. Both land use change and climate variability affect water resources availability and quality. The Elbe basin is experiencing all three major water-related problems: from time to time having too much water (floods), quite often in summer season having too little water (droughts), and having water of inadequate quality. In the last three years, extreme hydrological situations were observed in the Elbe basin - a destructive flood in August 2002, and a severe drought only one year afterwards. Besides, the Elbe is a major contributor of nitrogen and phosphorus loads to the North Sea. Stakeholder participation is a crucial part of the Elbe case study. It is realised by forwarding questionnaires to stakeholders in the region, organizing interviews and workshops to discuss water related problems and transition to adaptive water management. 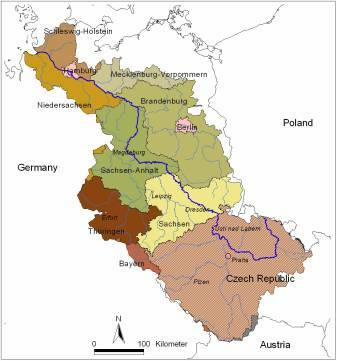 In order to define major research issues in the Elbe basin, the “Questionnaire on major water-related problems and research needs in the basin” was distributed to stakeholders both in German and Czech parts of the basin. All major groups of stakeholders were involved in the action: policymakers; water managers; people working at the water supply and sewage water treatment enterprises; representatives of agriculture enterprises and farms, mining and water transport; people involved in spatial planning and nature protection, representatives of NGOs and scientists involved in water resources research. Besides, the questionnaire was distributed among 100 randomized private households of the village Glindenberg in Germany affected by the flood in August 2002. Altogether, 376 questionnaires were sent in Germany, 242 in the Czech Republic, and 100 were distributed to the villages’ citizens. From 718 distributed questionnaires, 240 filled questionnaires were obtained back (approximately 33%), providing 387 responses. The obtained filled questionnaires were evaluated separately for every of three groups (German, village, Czech) and for every stakeholder group. 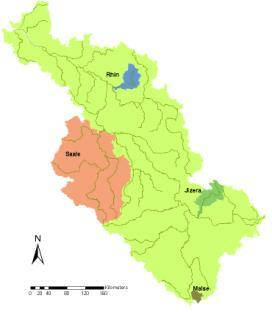 development of strategies for transition to adaptive water resources management. In these areas the modelling focus will be first on hydrological processes and in the next step for selected subbasins on water quality for different agriculture and sewage treatment management and climate scenarios. The framework for transition to adaptive management IWRM will be developed for the whole basin. Institute of Hydrodynamics (IHAS), Pod Patankou 30/5, 166 12 Prague 6, Czech Rep.
Ing. Šárka Bla�ková, DrSc. et al.